Hello! Thank you for having me. My name is Laney Smith and I recently celebrated the twenty-second anniversary of my twenty-first birthday. Fiona: A little about yourself (i.e., your education, family life, etc.). I went to college for Psychology. I was especially interested in non-verbal communication (micro-expressions, handwriting analysis, etc.). I wanted to be a criminal profiler. Long story short, I discovered I struggled with certain aspects of crime scenes, with regard to forensic science and the expired human body. I decided to adopt nonverbal communication as a hobby of interest, rather than as a profession. As for family, I have the best family any author could ever hope for. I am a single mother of two teenaged boys. My mom has been a huge help and the four of us live in Southern California. I’m very close to my younger brother, his wife, and their two daughters. They live in Colorado and I don’t get to see them nearly enough. Then, there’s my dad. He lives in Texas, but I talk to him, almost daily. He’s the greatest man I’ve ever met and, again, I don’t get to see him enough. I have tons of cousins and they’re scattered all over the country. However, most of them own and know every book and story I’ve ever published. So, I have a great family! It seems this New Year is going to be a busy one. I love that, so that is exciting. I am beginning to fill my calendar with interviews, appearances and book signings, as well as film project options. 2017 was a sleeper year for me. I started tinkering with scriptwriting, but other than that, I didn’t do a lot of exciting things, last year. I think by the end of February, I will already have done more this year than all of last year, combined. So, that’s fun! I love to be busy. My family and friends tried to convince me to write for a very long time. “You should write a book,” was something I got so tired of hearing. I couldn’t figure out what it was about me that made them all say this. It was weird. When I was nineteen, I had a poem published in some anthology. I didn’t understand, at that point. I don’t even remember the name of the book. It just didn’t impress me, at the time, to learn that they were going to publish my piece in their book. I didn’t understand. Then, years later, I started writing articles for a local newspaper and after numerous front page stories, the editor says, “Have you ever thought of writing a book? You should do that!” I heard that too much to keep ignoring it. So, in spite of trying and getting nowhere, several times before, I decided to try, again. In 2014, Lock Creek was born. It’s been a very magical experience, since then. I wish I would’ve become a “writer” sooner. Not until Lock Creek was published. Even then, I think I struggled to consider myself a writer. When I wrote the poem at nineteen, I was just “playing.” When I wrote for the newspaper, I was a “reporter.” Now, there’s books out there with my name on them and I’m a “storyteller.” When people say something to be about being a “writer,” it seems funny to me. I think, “No! I’m not a writer. Well, wait! Yeah, I guess I am.” So, maybe someday, I’ll get used to that title. For now, I just want to be everyone’s friend who happens to tell crazy, fun stories. As I said before, there was plenty of encouraging prompting. However, there were so many things that happened that made Lock Creek possible. There was a movie with my favourite actor in it. He had one of the worst, most annoying lines I’ve ever heard. It was such a great role, until that stupid line. It took the character from being a classy, educated gentleman to a classless, cheap, perverted creep. It was just weird. One line! I couldn’t even finish the movie. I became obsessed with writing a character that would not have to say those stupid, cheap lines. I don’t really remember exactly how that happened. Initially, Lock Creek was Bartle’s Range. I like Lock Creek better, so however it happened, I’m thankful for that. My writing style is to just sit down and pluck keys. I don’t outline or map anything out. The story dictates itself. The most challenging part of that is that I have to trust the story as I go along. I don’t always get a preview of how it is going to end, so I’m writing blind, in a sense. When things happen, sometimes, it doesn’t make sense to me and I am inclined to change them. Every time I do that, I end up getting stuck and it becomes another unfinished story on my computer. However, when I remember to just trust it and type the words as they come – regardless of how I feel about it – there is always an explanation, later. Many times, it ends up being an “Ah-ha!” moment. So, that’s tough, for me. When the story takes some weird jaunt, or seemingly pointless jaunt, I just have to let it do its thing. That’s tough. I want to influence it and that bites me. In some of my books, there is a strong real-life influence. With Lock Creek, however, there is very little influence from my life. I’d love to meet Derrick Decker in real life. I hate that he can’t be real. He’s just awesome. His physical description and mannerisms are inspired by a real person, but Derrick is just too good to be true. As far as events in the story, I have spent my entire life around law enforcement, in some capacity. My uncle was the sheriff in the county I grew up in. My stepdad was a deputy. I’ve dated cops and lived next door to them. So, some of the stories they shared, or some of the ways they viewed things have influenced some of the events in Lock Creek. However, there is nothing of my life, other than those things, that is in Lock Creek. It has become a living, breathing world, all on its own. I absolutely love that! I tend to mix it up. If someone can nail down the idea I have in my head, I use their work. If it’s not quite right, I keep looking until I find what I want. I love the cover for Time of Death. That one was done by Andrea Mouser. I told her what I wanted – what I visualized – and she nailed it, perfectly. I was so excited. Then, with Derrick’s Time, I told a local photographer that I was trying to find a police Tahoe in the night, with the lights on, without identifying logos. She went to one of the local police departments and told them what she needed. They were kind enough to work with staging one of their units to make that happen. So, that was another one that I was happy with. I try to switch it up. There are a lot of cover options out there. Sometimes, yes. Sometimes it’s just for the purpose of entertaining. Lock Creek, Threshold, and The Roses of Dawn Arbor is for the purpose of entertainment. What He’s Done has a point, as does Ripples. So, it just depends. I have so many author friends and we could be here, all day. Immediately, I think of Alex Black. He’s a horror/suspense/thriller writer and I love his work. His style reminds me so much of the movie What Lies Beneath with Harrison Ford and Michelle Pfeifer. I love reading his work. I also think of Terry R. Hill. He’s a sci-fi writer and I don’t typically read sci-fi. Terry’s work is incredible and fun, however. He’s a rocket scientist, so he’s got more factual details to make his tales a little richer than most, I think. Then, I have to mention Leigh McQueen, as well. Leigh has a very laid back, easy to read style. She has this incredible imagination and visiting her “world” is always entertaining. Finally, S.J. Hermann writes young adult and his message is so relevant to the current times, with regard to the number of bullying incidents. S.J. is the voice for these kids and he is one of the most genuine people I’ve ever met. He’s not willing to slap something together, just to put it out there. He draws from his own childhood experiences and he gives a voice to those who are silenced. He’s just incredible! His Morium series is in the process of being adapted for film and he’s meticulous, in terms of making sure the points are driven home – especially the points many would prefer to ignore. He’s just an incredible human being and a true humanitarian. There is no way I could pick just one. There have been too many who supported me on this journey and to name just one, outside of family, would be a slap in so many faces. There was a lot of people, sitting in my cheering section and every one of them mean the world to me. I wouldn’t have made it this far without every last one of them. I’m very lucky, in terms of support. It’s incredible! Yes! Writing is my career. I don’t think I would. Some people have told me that they cannot read Ripples because it triggers things for them. I hate that, because that is not my intention. However, that is also a celebration, in one light, because the story has to be believable. If it is too familiar for some, that is pretty realistic. So, I don’t think I would do it any differently. It’s a subject that needs to be talked about. I just advise reader discretion. We are always learning. I think the biggest thing for me with Ripples was the surprising realization that there are so many women who relate to Rachel. I don’t think I expected that. I’m not sure. I always think about my books being adapted for film, but I’m not so good at picking which actors I would want for the parts. I guess someone like Rachel McAdams because she has the ability to make us love – or love to hate – any character she plays. In Ripples, the character Rachel is lovable, but you hate her, sometimes, too. Write as though no one will ever read it. Stop worrying about what people will think. That’s not your job. Your job is to tell a story and if you lock yourself behind fear of how it will be received, you are not giving people the story they deserve. We have to be bold and daring, sometimes. Sometimes, we have to cross lines. Sometimes, we have to push our own comfort zone. However, if Stephen King had worried about what people would think of his work, how many great stories would we have missed out on? Just be free! Pretend no one will ever see it. I love you all, dearly! Without you, I’m just a collection of words, disrupting the blank pages. Because of you, those words come alive and I’m eternally grateful to you for that. Thank you for being my biggest motivation! The Woman In Cabin Ten. It was either Old Yeller or Where the Red Fern Grows. Witty humour makes me laugh. I like the snappy, quick comments. Sometimes, a touch of sarcasm is comical. Sometimes, in-your-face comedy is funny to me. I tend to laugh at the smart-assed people of the world. I laugh when there’s too much truth behind a joke for it to not be funny. As for crying, I would say anything that cradles you in warmth and love and then, it’s suddenly shattered – like Old Yeller and Where the Red Fern Grows – for example. The Notebook makes me cry. You have this beautiful, warm, fuzzy, happiness. Then, all of a sudden, it’s forever changed – just gone. That makes me cry. I would love to meet Princess Diana. I admired her beauty, elegance, and grace. However, she had a hint of a wild streak that gave her an edge – a flaw that wasn’t a bad thing, necessarily. She just seemed to be willing to be who she was and make no apologies for it. If she wanted to be formal and elegant, she was. If she wanted to dance the night away at a club, she did. She did so many good things with her position. The world respected her and she still seemed to be able to be herself sometimes, too. That takes something special. Aside from writing, I appreciate all things art, just about. I like spending time with my sons – whether they want to go fishing, camping, to sporting events, or just watching television. I enjoy the outdoors – particularly when it involves water. I’m a Libra, so I tend to have the attention span of a flea. I develop a passion for something, then, I’m on to something else. So, it varies, really. I just discovered MindHunter. I like that show. My son is a big fan of Supernatural, Stranger Things, and Riverdale. So, I watch those shows with him and I end up dialled in, wanting to know what happens next. Films, I love that movie The Illusionist with Edward Norton. It’s clever. I like the older movies like Paradise, The Man in the Moon, Cutting Edge, and then The Notebook. There are a lot of great movies out there, though I tend to remember the older ones. Lately, it seems as though we’re seeing a lot of reheated, reserved movies and that’s sad, considering how many great stories there are, hiding on bookshelves. The film industry needs a library day, I think. I have no idea. This has become such a huge part of me that I think I would just become a blob who just breathes, without it. I wouldn’t know what to do with myself, honestly. I do! I think I’m on every social media outlet there is, so you can follow me there. You can also visit my website at www.authorlaneysmith.com. I’d love to hear from you all, so don’t be shy! Say hello. 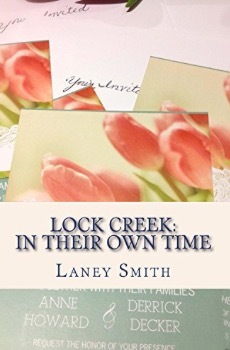 Laney Smith, the mother of two sons, is an American author who was born in Little Rock, Arkansas and raised in Texas. In her teen years, she and her family (including two younger brothers) moved to Colorado. Laney has also lived in Mississippi and currently resides in Southern California. Since a writing career seemed to persistently tug on her shirt tails, Laney eventually decided to try her hand at the art, writing news articles for a local newspaper. After numerous front page features, a new passion was born and the storyteller decided to try her hand at fiction. 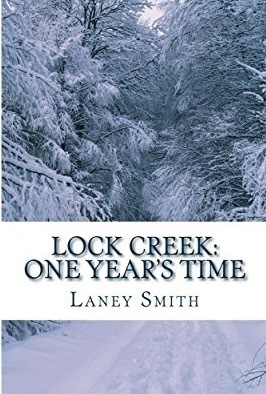 Her debut work, Lock Creek: One Year’s Time is still one of her most popular, frequently read works, proving that she managed to escape the“first is the worst” curse. 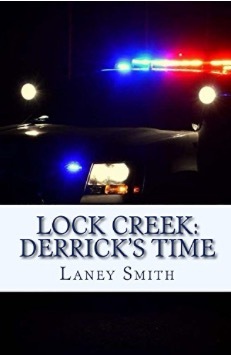 In fact, Smith’s Lock Creek series won a “books-to-screen” contest and is currently being adapted for a television series, with other potential “books-to-screen” projects looming on the horizon. 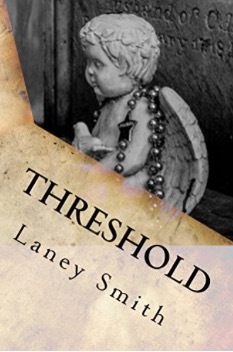 At the time of this publication, Laney currently has eight novels to her credit, as well as short stories in two anthology projects (no longer in print). She also released one novel under another pen name. Looking back, Smith’s only regret is that she did not start writing, sooner. When she is not submerging herself in her fictitious worlds, conjuring up riveting stories, Laney enjoys spending time with her family. Whether she is in the mountains, hanging out at tide pools, watching a sporting event, or enjoying some form of art, the writer’s mind is always dreaming up the next page-turning tale. 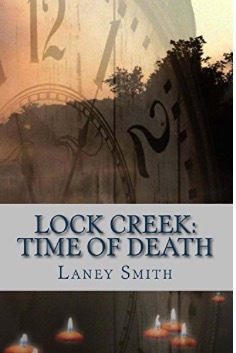 Having accomplished so much in such a short time (Lock Creek: One Year’s Time, her first work, was published July 2014), Laney Smith has found her passion and her calling. The author, with her feet firmly planted, guarantees her readers that she is here to stay. 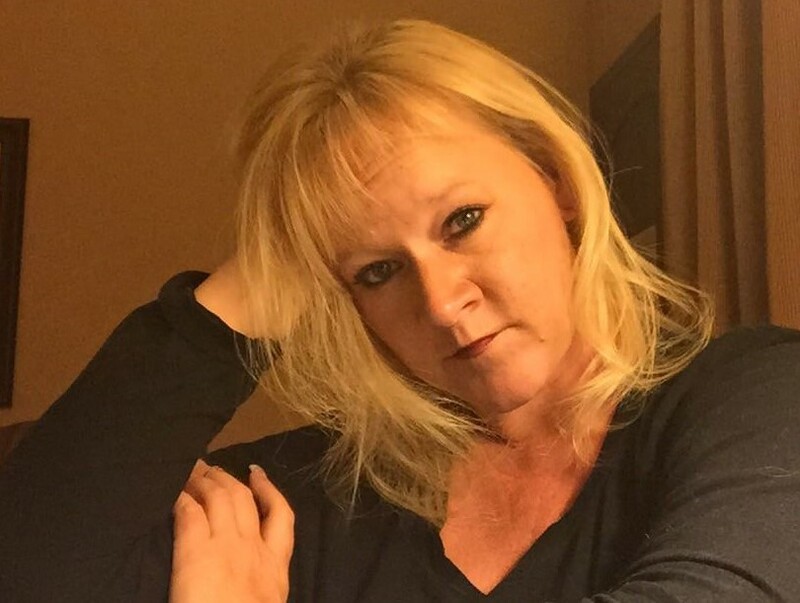 She is also on Goodreads, Pinterest, MeWe, and LinkedIn. The “Lock Creek” series looks good. I’ll have to see if I can check that out from my local library. The Illusionist is a great movie. I was totally surprised at the ending. I love Old Yeller and Where the Red Fern Grows. I use to watch Old Yeller as a kid and I read Where the Red Fern Grows as a kid as well. I’ll have to dig that book back out and read it again. 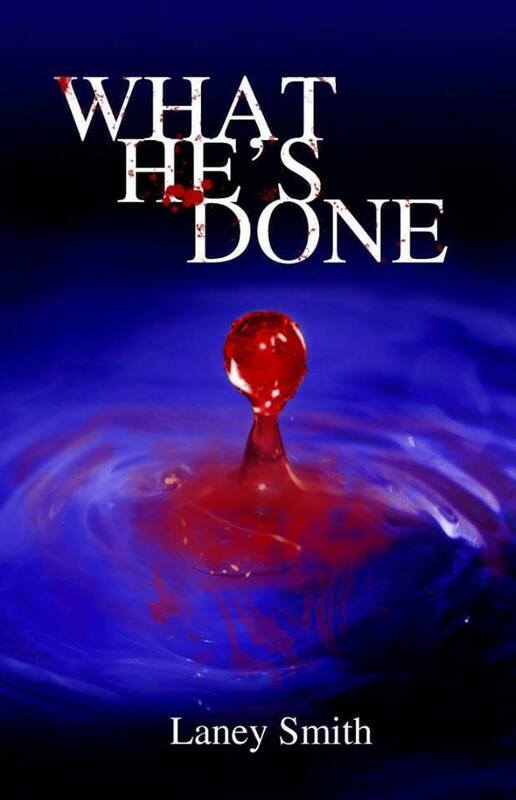 Thank you, Fiona, for another great interview with another great author! Even with a rough outline my stories almost always wander off the path and I agree it’s very difficult to trust my own creative impulses. Best of luck to you.